The man running the biggest Nordic bank says that reducing the number of humans working in finance will actually help cut some of the risks in the industry. 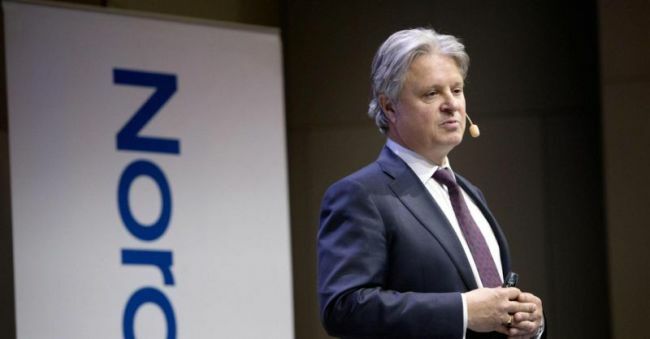 Casper von Koskull, the chief executive officer of Nordea Bank Abp, predicts that in roughly a decade, his sector will have half as many people working in it as it does now. And that’s a good thing, he said. “It’s not my intention to make bold predictions, but I genuinely believe that,” he said. Nordea is in the middle of cutting 6,000 jobs in an effort to automate more functions. The idea is to cut costs and create a more manageable bank. The strategy has also involved a retreat from some markets that Nordea has defined as too risky, including a partial withdrawal from the Baltics and Russia. Von Koskull says that banks that fail to follow Nordea’s lead will struggle to keep pace with a world in which digital solutions and efficiency will be key to survival. He says central Europe, and Germany in particular, are in danger of falling behind. Von Koskull, who says his bank won’t be ready to participate in the finance industry consolidation that’s needed until at least 2021, points to technology giants as an obvious threat to banks. He says he’s not so worried about Facebook or Apple, with which Nordea collaborates. But Amazon is a different story. The issue is trust, according to von Koskull. Many banks in his region, including Nordea, have been tainted by allegations of money laundering. Meanwhile technology giants like Facebook are dealing with their own scandal related to breaches of data privacy. The question of trust will be key in determining which firms are successful in providing financial services via digital platforms, von Koskull said. He refers to the client data that banks have amassed as a gold mine. Von Koskull is walking the talk. His bank is considerably leaner than it was just a decade ago, employing about 15 percent fewer people. He says there’s still plenty of potential to do more. The biggest opportunity to profit from using robotics, artificial intelligence and digitization is at the so-called front end, where the bank meets the customer, he said. The areas where human contact is still key are services like helping customers with their mortgages and giving them advice on managing their wealth. But even there, technology can help, von Koskull said.